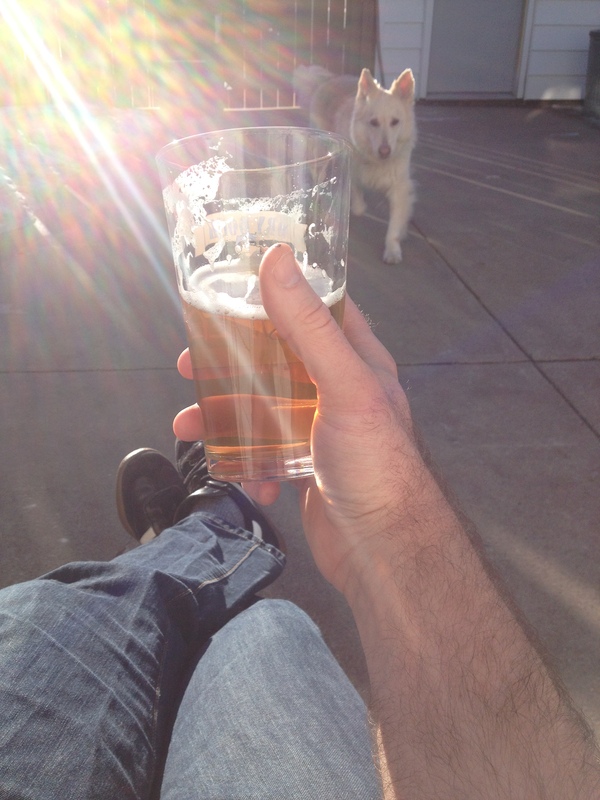 This entry was posted in homebrew and tagged beauty shot, lager by MD. Bookmark the permalink. Nice. I thought I saw some lawn amid the snow drifts today. Spring is coming…. Don’t let that beer get light struck! My beer with sunlight shining through it was the Sterling Pounder Maibock. Great recipe! Time for me to get started on this year’s Pilsner. And probably the Oktoberfest, too, really. And an IPA. Damn. I have a lot to do. I utegrilled and utepilsed this weekend…felt great! Like a fool, I even checked the frozen ground for hop shoots, just in case.